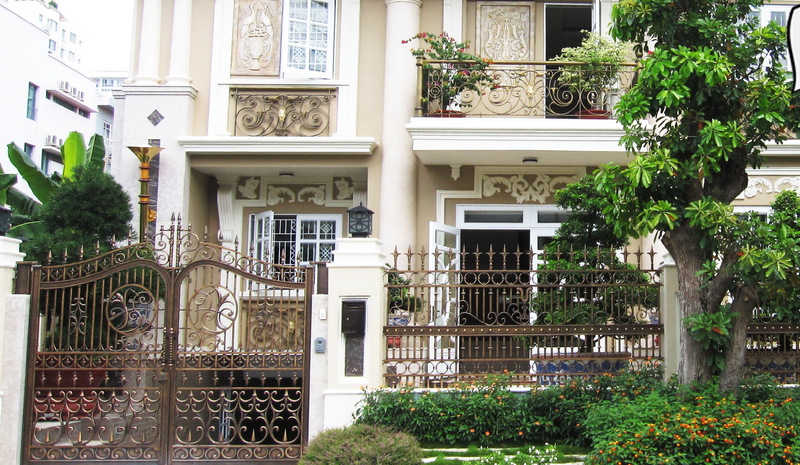 Decorating your house with beautiful fence. Have you ever thinking about that ? Until now, fences are only considered as a separate band, the demarcation of the area with the outside and to protect the safety of the owner. But now the fence is not only "keep someone outside" the house but also considered to be the highlight, a new material to design and creativity. 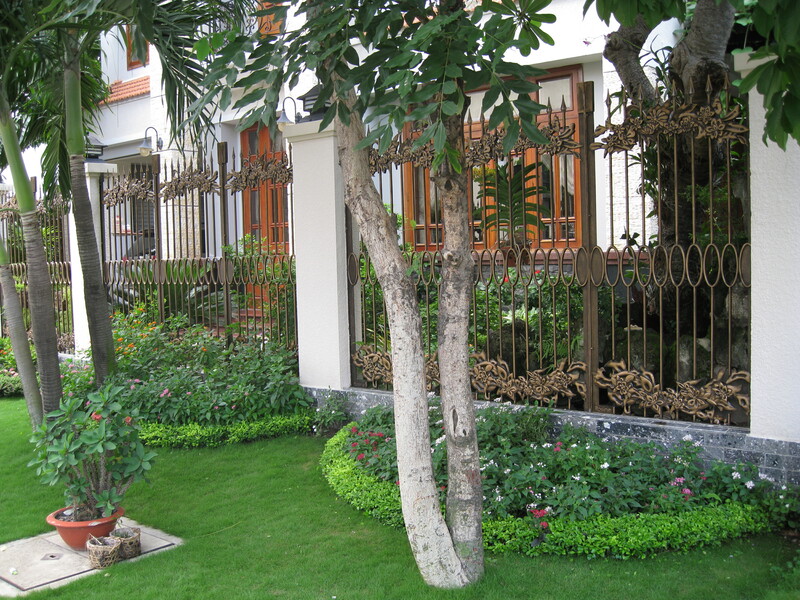 With a house has garden inside, fence serves extremely important in the overall architecture and garden cottages. The garden area is usually wide open, so the designers had to take care of fencing more and more. If your house is a house in the city, or a villa, to maintain harmony and airy for the house, we can choose the little stripes fencing. Grey or white can be chosen as the dominant color and combine with a foot grafted concrete or stone and aluminum used to make the fence, the space will become much wider, the trees in the garden easier on the eye than, but still ensure safety throughout the house. Fencing as a focal point in the garden design.At the current , homeowners often choose the simple style fence but not monotonous. Depending on the condition of the owners, all the material structure and fence design also has become more diverse. 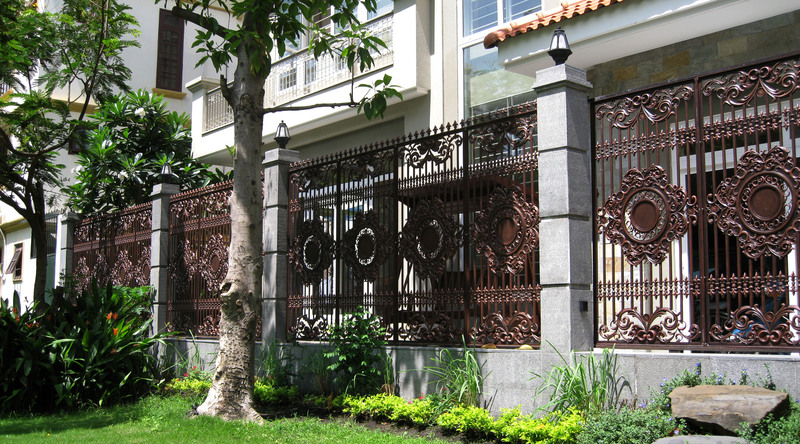 However, most of the homes built in 2013 were chosen aluminum cast fence to decorate and protect your home, because casting technology now allows creating very beautiful aluminum fences, ensure the aesthetics of the house and also extremely durable last several adverse factors from the external environment and no rust. And because of the material used for fencing is usually raw materials such as aluminum, iron, brick or stone ... so if you want to create softness to the home landscape that we can combine them with some plants landscape, vines ... can make landscape for buildings, especially homes with spacious garden, and can maintain eye-catching blue just above the dark architecture of the building. For those who enjoy the beauty of nature and a little bit in the care of trees, they can easily create their lovely house by the fence of trees. The decorative fence in this manner contributes to the diverse array of green house. 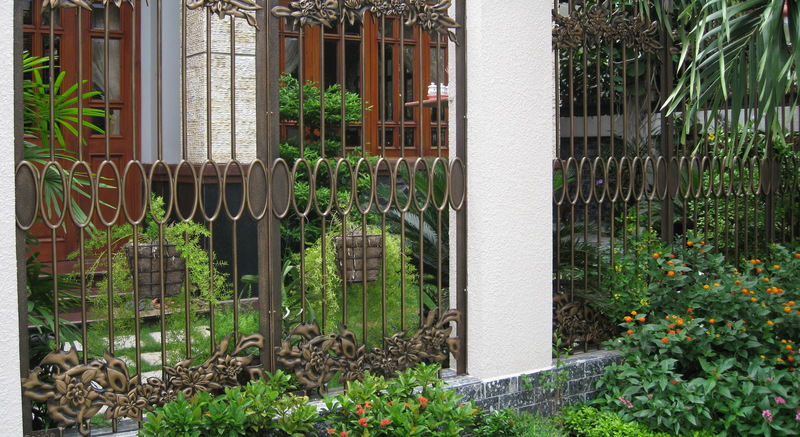 Fences for house garden are often brightly painted and white color will be popular choices. They can make you house becomes more brightly and beautifully. Design fences with natural materials will help our space closer relationship harmony between nature and humans.